Welcome! Get the information you need to win at parenting without losing yourself. Wish you had a solution to toddler tantrums and whining? Want to make self-care a priority but not sure how to? sign up for sustainable self-care. it's free. Having a new baby? Feeling unprepared? IN THIS FREE NEW MOM GUIDE, WE WILL TALK YOU THROUGH THE TOP FOUR THINGS YOU NEED TO KNOW. For the past month, my entire family has been battling winter and eary spring illnesses. First my five-year-old woke up with a wet cough that lasted three weeks and prompted phone calls from the school nurse. Then, my youngest caught the same bug and ended up with a secondary ear infection four days later. My nanny followed suit in what seemed like 48 hours: she let me know with a 5 a.m. text that she had pink eye and couldn’t see, much less take care of my kids, for a few days. Then a round of stomach flu came through, knocking down almost all of us in a slough of vomiting and diarrhea episodes that severely challenged my cheap Target sheets and forced us to buy multiple sets of new pillows. The pièce de l résistance came when I awoke one night to my oldest child LITERALLY vomiting onto my hair from where she was sleeping behind me. Thank goodness we just took a vacation, resetting the sickness cycle in our home, but I’m just holding my breath waiting for the next round of illnesses to start up again. Not all illnesses are avoidable (you read what I just said about the last month at my house, right? ), but environmental factors do play a role. A kid that goes to indoor play facilities (like a children’s museum or indoor play gym) multiple times a week will be more likely to catch whatever viruses are floating around there. I’m serious—I swore off almost enclosed shared play places during peak sick seasons once I went through one winter with my first child. Anything with “Children’s” in the title is a no-go for me during peak winter weeks. I’m not a shut-in, I just pick and choose activities based on the scientific fact that more kids plus more germs equals more chances of your kid getting germs, too. During sick season, I opt for outdoor snow activities, pottery painting studios, and smaller gatherings. Knowing full well you can never completely avoid illness, I try to at least play the odds correctly. Likewise, a kid in daycare will be exposed to more germs on a daily basis just due to the sheer number of other children they’re around. Yes, over time that can contribute to a stronger immune system but, for some (especially those gentically predisopsed to specific conditions like ear infections) it can mean a world of hurt every winter. In my office, we sometimes refer to the constant runny nose we see in our daycare patients as “daycare-itis”, since it seems like it never, ever goes away. Every child is different—some kids seem to skate by without a cold or rash—but it is a recurring theme. It’s not that the choice to do daycare versus in-home care is better or worse—Lord knows there are about a billion other factors to consider wehen you make that choice (like money)—but the sickness factor is a big one. Even though a nanny or smaller in-home setting can seem more expensive on the surface, your cost-benefit childcare analysis should also account for potential days of work missed due to your child’s illnesses if they’ll be in a group care setting. In my profession, it’s not impossible to take a day off but it is a huge inconvenience to my patients and to my business partners. So that I can avoid missed work days, I look for ways to avoid my kids catching major illnesses in the first place. Parents often spend a ton of money on fancy, cold-busting vitamins and supplements, but the best way to prevent catching most germs is free: hand washing. Teach your kids to thoroughly scrub with warm, soapy water for at least 20 seconds each time they wash and to head to the sink before meals, after using the bathroom, and after they cough or sneeze. There is a (very good) reason most child care centers and schools have a policy that students should stay home if they’ve had a fever within the previous 24 hours: when a virus or bacteria attacks the human body, fever is part of the body’s attempt to fight back. Schools and care centers don’t want kids hanging out in classrooms while the illness battle is still raging, as the bacteria or virus may make its way to another student in the process. Instead, use the time at home to help your child focus on fluids and rest so he can re-enter care ready to learn and play. When you sneeze or cough, little virus or bacteria particles go shooting through the air (I know, science is kinda gross, but it’s also kinda cool). They can travel up to 50-200 miles per hour. In an ideal world, kids would catch all those nasties in a piece of tissue, but youngsters often don’t have that much foresight. Be practical instead. Show your child how to make a cough pocket with his elbow. Don’t be surprised if this takes quite a bit of reinforcing. Good habits take time to ingrain. Our bodies avoid and fight illnesses best when they’re in prime shape. Eating a healthy diet rich in vegetables, fruits, and whole grains sets kids up for health success. Give your kids plenty of exercise and water, focus on healthy sleep habits, make sure they’re up to date on all their vaccinations. When people ask me how I get everything done in my life—professionally, personally, when it comes to my kids—I always have a simple answer: Back Up. Help. Listen, Murphy’s Law seems to apply even more strongly when you have multiple balls you’re juggling because there are more chances for things TO GO WRONG. When I hear celebrity or CEO moms talk about how they do it all because they’re organized or because “somehow they just make it work,” I want to scream. It’s a lie—one that makes mega millionaires feel better about themselves but that makes the rest of us feel like we’ll never measure up or that we must be doing something wrong. It’s like they’ve photoshopped motherhood right along with their Instagram pages. Here’s the real truth: I get everything done because I have other people who help me do it all—when my kids are well AND when they’re sick as stink. My first line of defense is my nanny. Yes, just like any other good mama, I feel guilty as all get-out when I think about my kids sick at home with a caregiver while I work. But, then I remember (when it comes to my nanny), THAT’S WHAT I PAY HER TO DO. She’s not just there for the trips to the zoo and the tea parties. She’s primarily there to care for my kids when I can’t be. You’ve got to build a network of people around you who can pitch-hit when necessary. This is one of the most important reasons for getting at least a small tribe of other moms around you unless you live in close proximity to your relatives. My parents live about 25 minutes away in a neighboring city—close enough to help out but no so close that it feels like we’re breathing down eachothers’ necks. They help out for weekend getaways, date nights, impromptu meetings on my days off. Most importantly, they help me when my kids are sick. I fully realize that not all families live close by their extended relatives, and that some relationships make relying on family way more complicated. That’s okay. If family is not a realistic option, this is where that tribe of other moms and friends come in. That’s why those infant mommy and me classes are so great at helping you bond with all parents. You’re all scared, unsure of how to raise this little being, totally unprepared. When it doesn’t go well, you’re vulnerable enough at that moment to get help from someone else—even if you don’t know them well—and to build meaningful relationships. Traditional mommy and me groups have never been quite my style, but I have developed those more vulnerable friendships through parallel learning activities like baby and me music classes (Music Together is a personal favorite) and postnatal mama-baby or mama-tot exercise classes. I’ve developed some of my closest mom friendships over shared hikes and crunches. Now that my kids are a little older, I make it a point to chat at school pick-up on my day off and to schedule play dates during times my daughters and I can attend. I’m intentionally, slowly connecting with other parents in my neighborhood. We may not end up as besties, but I know I can count on them if I am running five minutes late to pick up or need a 30-minute pitch hitter when the nurse’s office calls me away from work and I need a few more moments to wrap things up before heading home. One year ago, my littlest came down with Croup and spent three nights hacking away like a baby seal. I came home from work to her lying on the rug in my living room, curled up in a tiny ball, clutching a stuffed animal while my husband rubbed her back. Then, New Year’s Day, she wound up in Urgent Care after waking from a nap with a 103 fever and labored breathing, bless her little heart. Needless to say, the mama inside me outweighed my medical degree both of those evenings. I had to force my mind to “think like a pediatrician.” I also had to take a deep breath and try NOT to think about all the work I would inevitably miss, the wasted childcare dollars I would no doubt forfeit, and the sleepless nights I was bound to encounter before she recovered from her respiratory illness. When your child is sick, it’s inherently emotional. You may feel like only YOU can be there to watch over your little one but remember to let your partner take the lead on bowing out of work or handling a sick day school pick up when it makes sense. If that mom doesn’t work for a day, no one brings in money for her small business. Her husband, on the other hand, works for a traditional organization that offers paid sick days and vacation days as part of his compensation package. If he misses a day of work, it’s stressful, but it’s not earth-shattering. While the world may still expect her to drop everything to pick up her child at daycare for an illness, that just doesn’t make sense for them. If you are worried about your child, call someone. Make an appointment. Get them in front of a medical professional. You know your kid best so, if they seem off to you, listen to that little voice inside your head telling you to take action. Pediatricians aren’t irritated when a parent wants their child to be seen “just to be sure everything is okay.” Actually, we would much rather that than the alternative – a serious condition gone unchecked. Kids tend to rally well at first with sickness but then can crash pretty fast. It’s better to get the parenting tips you need early on so you don’t get to a more critical point. If you’re a new parent, that may mean you call as soon as your child gets a small cough. No problem. Your doctor or their nurse can guide you through what to expect and what to do- consider it your sick kid mini-education. As you get more and more experienced, you’ll gain confidence, you’ll know the basic ways to handle minor illnesses and you likely won’t need as much assistance. Whenever possible, you want a medical provider caring for your child who really knows their stuff – someone trained specifically in pediatrics (obviously, if you are on vacation or in an emergency situation, that’s not always realistic). When you do have a choice, choose pediatric-trained providers so they can get the most accurate medical history possible and can provide the most up-to-date care. If your child has had a fever for one day or for five days, those are completely different situations, each of which triggers different levels of testing and medical interventions, depending on age. As I sat in the urgent care clinic with my daughter last week and watched a practitioner shrug a little when I said she had just developed her fever, it was tempting to try to sell how bad her illness was. Sometimes, I know, it feels like elaborating a tiny bit to get the attention of medical providers will help when it comes to a sick kid, but that can backfire. You don’t want your child to have extra bloodwork, imaging (X-rays, etc) or medications when they don’t need them. It can lead to unnecessary and sometimes harmful side effects and even hospitalizations. I cannot count the number of times someone has brought their febrile child into my office, completely miserable, so that I can see how sick they really are. No fever-reducers on board, the poor kids and their parents must have had a horrible time on their car ride over to clinic. But there’s no need to show us your child at their worst. It’s fine to give your son or daughter acetaminophen or ibuprofen (these medications can be age- and condition-dependent – check with your health professional if you’re not sure) before your doctor’s visit. In fact, the best way for medical professionals to accurately assess how your child is doing can be to see them WITHOUT THE FEVER when possible, since they sometimes look worse than they actually are when febrile. Sometimes, a parent will seem disappointed when I tell them their child has an upper respiratory infection (aka a cold) and doesn’t need antibiotics. Remember, it’s a GOOD thing if there isn’t a need for extra medicine. You don’t want antibiotics unless you really need them. -Doesn’t change a thing about how fast a child gets better. -May give them issues with diarrhea. -Contributes to antibiotic resistance (when an antibiotic stops working against the bacteria it was designed to treat and makes it harder and harder to treat serious illnesses). It’s hard to wait out a viral illness, letting the storm pass until the sun comes out again, but it’s worth it to concentrate on comfort care if your doctor prescribes it versus fighting for an unnecessary medicine. When we see you in the office, we’re catching your child at a moment in time. We hear about what has happened so far and we base our diagnosis on our exam that day. It’s one data point. Often, though, an illness can change within hours or days and, without a crystal ball, it’s impossible to predict which direction a sickness will go. It’s not surprising to us when we need to schedule a re-check appointment to make sure things are improved or when a parent calls us back to say a child is still sick. That’s why we give so many contingency after-visit instructions. Most of the time, we can solve an issue with one evaluation but it can take a bit more complex problem-solving with multiple visits at other times. Part of my job as a pediatrician is to make sure I translate all the medicalese for my patients and their parents, assuring they leave with a solid understanding of what’s wrong with their child and what they can expect as they recover. I know it is sometimes terrifying (or sometimes just super inconvenient) to have a sick kid and that parents need answers and explanations. I’m used to it. ALL doctors are. So, ask away. Clarify. Pull out the list of worries. Let us know the underlying issues (like, “When will my child be better and when will I be able to go back to work?”). We’re all ears and, in the end, it’s easier for all of us to be on the same page from the get-go than to let frustration or confusion play a role in your child’s illness. I’m not gonna lie – having sick kids is one of the most challenging parts of modern parenting, especially for working moms. The schedule re-arranging, the miserable little one, the scary unknowns of illness – it all adds up. Remember, pediatricians know how hard it is to care for sick children (I do it myself all the time!) and we want your child to get better as fast as possible, too. Access the resources you have, work on prevention first, make a care plan, and get the answers you need. Above all, follow your gut – if you’re worried, get help (or just peace of mind). Want more information about how to parent and cope when you’re a new mom? Check out our book, The Newborn Baby Blueprint: Preparing to Care For Your Infant and Yourself. Looking for baby registry or baby shower gifts? You’ll love our Newborn Gift Boxes (in Baby Boy, Baby Girl, and Gender Neutral). They’re full of information, inspiration, and a little love for all the mamas and mamas-to-be in your life (including you!). So, apparently, Christmas was a bust this year, at least according to my five-year-old daughter. “Mom, I think I don’t really want to celebrate again” she told me yesterday. Her little body let out a heavy sigh and her long lashes turned down to the floor. Now it was my turn to breathe a big sigh. I know you know exactly why. I spent weeks making a list and checking it twice (no three times) to make sure everyone was fully accounted for in the Santa department and, knowing my oldest is especially sensitive, I made sure to go over her part of the list a few times just to ward off disappointment. This is not the first time I’ve heard about a birthday or even a school day being less than ideal. Despite my best efforts though (and things way out of my control like the weather, for instance), I guess Christmas didn’t meet the mark in her book. “Darling,” I told her, “You get what you get and you don’t throw a fit. Santa and mommy can’t read your mind but we love you very much and wanted Christmas to be special. I bet you loved the chocolate cake you got at dinner and the sparkly chandelier you got for your room (yes, you heard that right. I bought my kid a crystal (plastic), fancy (Target clearance special) light fixture as a present. The moment she opened the package, her eyes lit up like she’d just won the stinkin’ lottery).” Her eyes sparkled again at the memory and she reluctantly acquiesced to the idea that we would not be doing a second-chance holiday extravaganza to make up for any failures in the first round. It’s pretty easy for me to let my kid’s disappointment go when it’s unreasonable—to brush it off as immaturity. It’s harder, though, when it comes to my own expectations and threshold for disappointment—not so much at the holidays, but for my life as a whole. I realized as I watched my daughter sulking that I have a way of sulking a lot, too—of really needing certain aspects of my world to be just the way I want them to be…or I consider them not good at all. That’s true for so many other moms I meet, too. When it comes to their performances as mothers, when it comes to their children’s health or when it comes to their own health: in order for things to be good enough, they have to be perfectly perfect. The most obvious area where my plans for perfection get thwarted? Exercise. I’m never going to be a fashion model and I’m not trying to get to a size two, but I think it’s safe to say I’m obsessed with exercising. I don’t mean I have an eating disorder—that I’m obsessed with my appearance or with reaching top physical fitness. I mean that, when I’m exercising consistently, I eat better, sleep better, feel better, act better—I am literally a better person. And when I’m not, I’m a pretty miserable, anxious, sluggish individual. My work life plus my home life, unfortunately, make it incredibly difficult to make working out even three times a week a reality. My oldest daughter often wakes up early in the morning and snuggles in bed with me before I leave for work, waking the instant I rouse myself to do an early morning video. My patients’ appointments often edge past closing time at the office, making it impossible to arrive in time for an after work studio session. Even on my late-start work days, my nanny doesn’t arrive until 7:00 a.m., making it usually impossible to get out of the house in time to make it to any type of organized studio-type event with enough time to also get to the office. Enter me, crying on the couch a few weeks ago about how I never actually get to get to a spin class, or a yoga class or a ____ (fill in the black with some other yuppy, group-based exercise experience). There I was, complaining to my husband about how I can never fit a workout in, about how I feel some days like physical fitness is a totally wasted goal now that my post-two baby, late 30s bod takes about 150% more effort to maintain, much less improve. Extrapolating past fitness to the bigger picture—to the picture almost every mom I know paints sometimes about wanting just a few moments of freedom to reconnect to her pre-mom self. He was so right. Just like I try to teach my own kids to be flexible problem-solvers, I have to work on the same thing for myself. I also have to accept that, for my current stage of mommyhood, things need to be a little less fancy and a little more abbreviated when it comes to physical self-care. Whereas taking a full hour at a time by myself was really critical to my mental health in my babies’ newborn days, I have more bandwidth now to think a bit outside the box. I started running again, something I’ve enjoyed since junior high school but have done way less of in the last five years. It’s like I’m saying “hi” to an old friend. I still make it to classes on the weekends when I can but the pressure is off to make it all work in quite the same way. The added benefit? I’ve started taking my kids with me—my oldest riding right alongside me or my youngest riding in the stroller—and it’s giving us even more quality time together. Sometimes we make things—even good things that are meant to be relaxing and rejuvenating—so much more complicated than they need to be. It turns out my daughter and I both have something to learn about not getting upset when things don’t go exactly our way (me, especially). My New Year’s Resolution? To approach my motherhood experience—with all the ups and downs and unexpecteds that come with it—with the perspective that perfect would be nice, but that less than perfect can be pretty amazing, too. Big News: The Newborn Baby Blueprint to Be Republished By a Major Publisher! The Newborn Baby Blueprint, our signature book, is being taken on by The American Academy of Pediatrics (AAP)’ publishing division. The AAP is the most highly-respected organization in the field of pediatrics. It’s considered to be the most authoritative voice on pediatric care out there! We’re honored to be included in their highly-esteemed catalog, along with other influencers and experts in the perinatal care world. It’s hard to believe that this little mama-doctor-writer’s dream is finally coming true and I’ve NEVER been more full of gratitude for the people and the experiences that have brought me to this moment. Thank you all for your amazing support and encouragement along the way. We’re working hard to get the book ready for re-publishing under their publishing wing and you’ll be the first to know when it goes live (we know the timeline but we’ve got to keep it a secret for now!)!! We’re also already hard at work with the AAP on ANOTHER book in the Blueprint series, this time for Working Moms. Until The Newborn Baby Blueprint is republished, we’re taking it off Amazon and other online bookseller sites as of Monday, November 19, 2018. It will still be available on our own site in both eBook and paperback form until the book goes live with the AAP. We’ll also continue to offer our newborn baby gift boxes. We’re absolutely THRILLED to be entering this new stage in our Modern Mommy Doc journey and we can’t wait for you to come along with us. Stay tuned next week for another post in our self-care series for mamas and mamas-to-be. Are you freaking out about your infant’s freakouts? Most of us tend to freak out when we have an infant at some time or another! Listen in as we talk with PDX Parent about our article, out this month on Portland newsstands (released 4/30). Have questions about being a new parent? The book is here! If you’re a new parent, or a parent-to-be, you know having your first baby takes a lot of preparation. There are so many things to plan and products to buy. When it comes down to it, though, the one thing you really need… is solid, useful information. If you’ve been parenting for awhile, the value of credible information is clear, and you probably wish you had more of it early on! At Modern Mommy Doc, we’re excited to present our new book, full of practical, reliable, down-to-earth information about preparing to care for your first baby. Being a new parent is awesome and amazing…and terrifying. There is so much to learn, so much to prepare for. And, sometimes, it can be hard to think beyond the birth to caring for the actual baby. This is not a time you want to completely wing it. The good news? You don’t have to. You can’t know it all before you have a little one, but you can learn the critical information that will help you feel confident, educated, and ready for this new adventure. Dr. Casares walks parents-to-be through what they really need to know once their baby arrives. 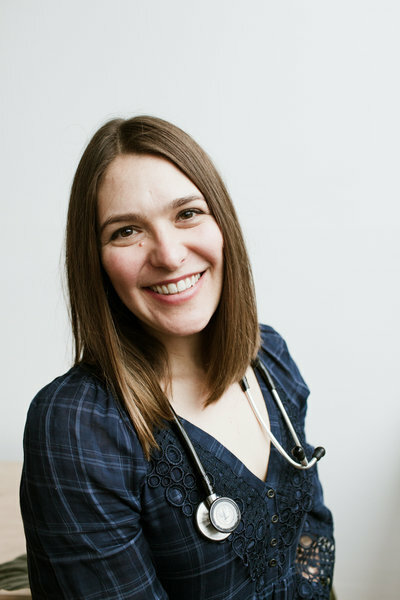 With a relatable mix of humor and practical advice, Dr. Casares delves deep into her own personal experience as a new mom and a pediatrics expert to guide expectant parents through this life-changing transition. – Prepare your brain, your partner, and your home for having a baby! care professional and are not intended as medical advice.